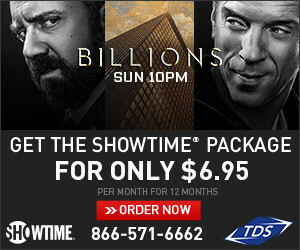 All SHOWTIME programming will be available for free preview Saturday (1/16) through Monday (1/18), including the series premiere of Billions, a bold new drama about the world of high finance that stars Paul Giamatti and Damian Lewis. Also free during the preview: All the original series, movies, sports, comedy and documentaries SHOWTIME is known for! So don’t delay! Click here to sign up for SHOWTIME and enjoy the network’s award-winning programming whenever and wherever you’d like!